14. Patriots Alert III: The Nigerian Farmer, The Nigerian Herder, And Peaceful Coexistence. A Farmer is a person who works the land or keeps livestock, especially on a farm. A Herder is someone who drives a herd of livestock, in the context of this blog episode, Cows and Sheep. The definition above exposes similarities with two groups who ought to be mutual business partners for reason to be exposed in the paragraphs below. We could say the two groups ought to be best friends in business; since they complement each other in several areas. For simple illustration, the cow dung is a natural fertilizer for the farmer’s crops while the grass taken off the farmers land is fodder for the cow. There are other complementary benefits which can only be derived from a productive interaction between the two groups. In developed and progressive nations of the earth, these great potentials of this symbiotic relationship would have been explored to maximize the capability of this sector which would in turn add to the health of the economy whilst boosting the financial capability of all participants. In Nigeria, the story as usual has been heart-breaking and nefariously different. The reason and solution does not rest in the spiritual realm or in some unexplainable trick of fate. It rests with what is popularly referred to as common sense, which is not commonly obtainable in any market place or by the street corner. It rests with deep thinking and the mind of the participants which has been polluted by shadows of the real issue rather than the issue it-self. It is a self made problem which is fueled by the ignorance of the participating and non participating citizens. 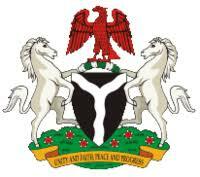 The population of Nigeria from independence till date has grown from about 33 million to about 190 million today. The fastest recorded growth rate was recorded through the period 1990 – 2008 as 56 Million. This is a 60% growth rate in less than two decades. The massive land mass of the country has not witnessed a spread of planned and structured Urban settlements at a speed that will ensure adequate settlement of this swell in number of Human beings. This is a very irresponsible development which can be excused for the sake of ignorance. The rate of altercations between two close businesses partners (the Farmer and the Herder), clearly shows that this excuse is wearing thin in the face of current reality. Moving forward, it might be pertinent in the face of a rapidly growing population, to either confine the Herders to grazing reserves, or create more planned urban settlements for the farmers; Nigeria has the land space. It would seem a more practical approach for the government to create grazing reserves for the fewer herders, than settlements for the rest of the population who are in the majority. The creation of grazing reserves would provide countless jobs for persons who are neither Herdsmen nor Farmers, e.g. Veterinary doctors, Fodder Suppliers, Modern Abattoirs for cheap cow meat. On the part of the Herders, it would enable to supply the cow dung obtained from the reserves to the Farmers. The cow dung is still adjudged to be the equivalent of industrial fertilizers, and this string of employment would surely put a smile on the faces of many currently unemployed Nigerians. The farmer or interested parties can grow grass on Nigeria’s vast landscape, and supply the herdsman as fodder for cattle, and this would also create employment opportunities for those that claim unemployment. The Cattles would be healthier, providing better quality meat and milk; opening up industrial entities that deal on the processing and packaging of cow meat like corned beef, and other dairy products. This development would also encourage foreign investment in this area and the list of productive advantages goes on. It is an established fact that true Patriotism knows neither Religious, ethnic, or political bias. 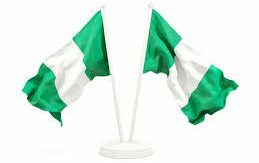 There are Patriots on either side of the fence of this divide and this is the unifying factor that makes the greatness of the Nigerian nation. Therefore you will find Patriots amongst the Farmers and the Herders. The solution to this minor challenge can only be implemented by the patriotically minded citizens of this country and driven by the sincerity of purpose of the government of the day. In conclusion, it is only a solution of patriotic distinction that can provide a way out of the currently precarious nature of the challenge that defines the Herders and Farmers clashes. The continuous needless banter over issues of no consequence will neither provide the solution nor needed respite from the current unwarranted disturbance for everyone concerned. For the sake of brevity of this blog episode, it would be best for the Patriots of this great nation to wield the constructive power of intellectual relevance and find a helpful solution that will forge a way out of the current quagmire. Nothing less than solutions which include what has been tendered above would suffice. We are all one family called Nigeria, and this is a non negotiable reality which has existed since October 1st 1960. On these truths and more, I rest my case on the Herdsmen, the Farmers and peaceful coexistence. Arise O compatriots…. ‹ Previous13. Patriots Alert II: Nigerian 2019 Elections; The Priceless Value Of A Single Human Life. Next ›15. A Treacherous Assault On The Non-Negotiable Peace & Unity Of The Nigerian Nation: Fake News!